Use this ‘Competitive Analysis Using SWOT’ to evaluate your company against your competition. 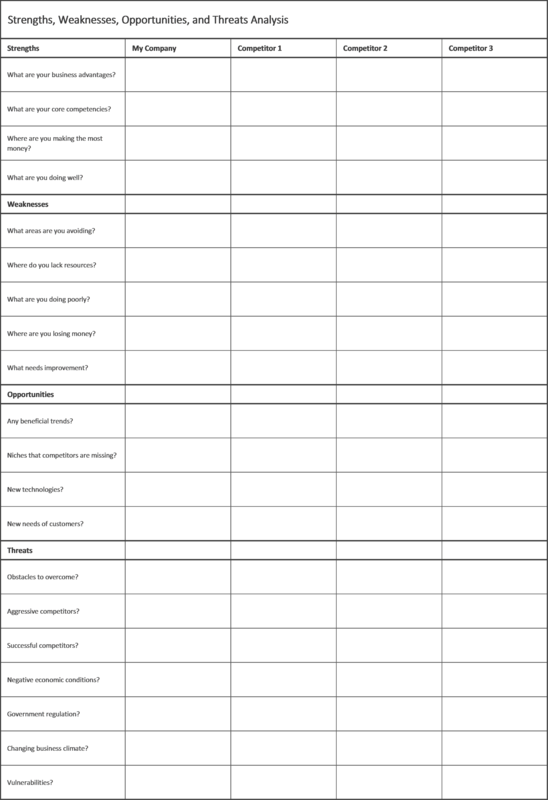 Evaluate your company against your competition using the Competitor Analysis SWOT Excel Template (Strengths, Weakness, Opportunities and Threats) analysis method. This worksheet template has room to compare you company against three competitors. …with this Competitive Analysis Using SWOT Excel template you will be adding an essential tool to help you understand who your customers are and how to sell more to the right people. …to evaluate your company against your competition. Ready for you to start using right away!